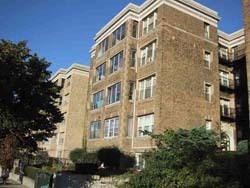 At 1626-1630 and 1634-1638 Commonwealth Avenue, Fineberg Management operates two apartment buildings with a total of 107 units. 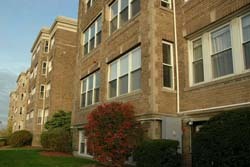 The apartments overlook Commonwealth Avenue and the Green Line from a commanding height. 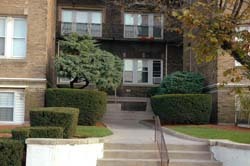 The buildings are located half a block from Washington Street in Brighton. This busy neighborhood is densely populated and commercially and socially active throughout the day. This section of Washington Street provides residents with excellent food shopping -- a large natural foods market, Russian delicatessens, variety shops etc. 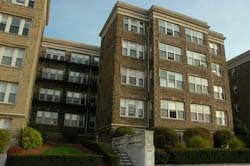 -- as well as good restaurants and resident services, such as banking and much more. Some of the units at these addresses have decks, some enclosed porches. The building at 1626-1630 has five stories and is served by an elevator.